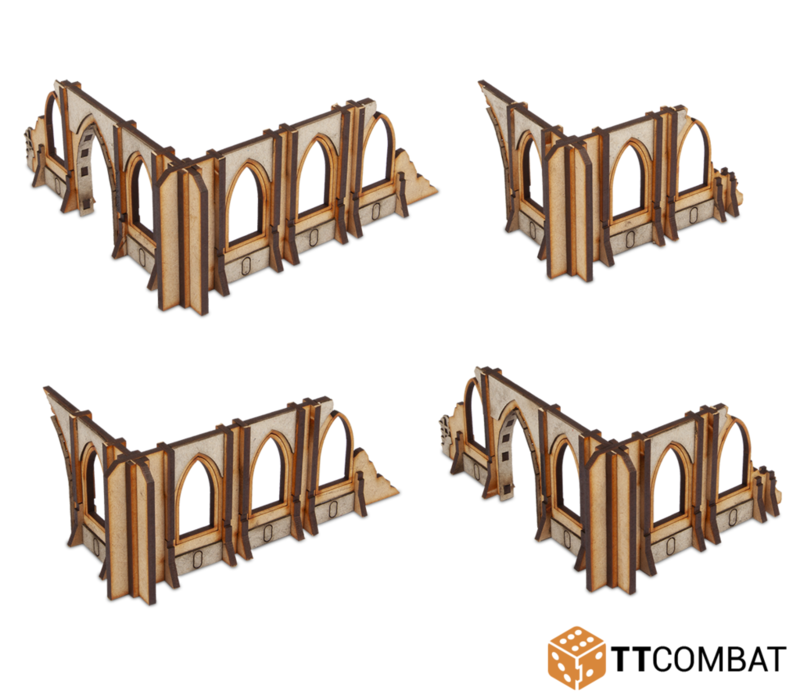 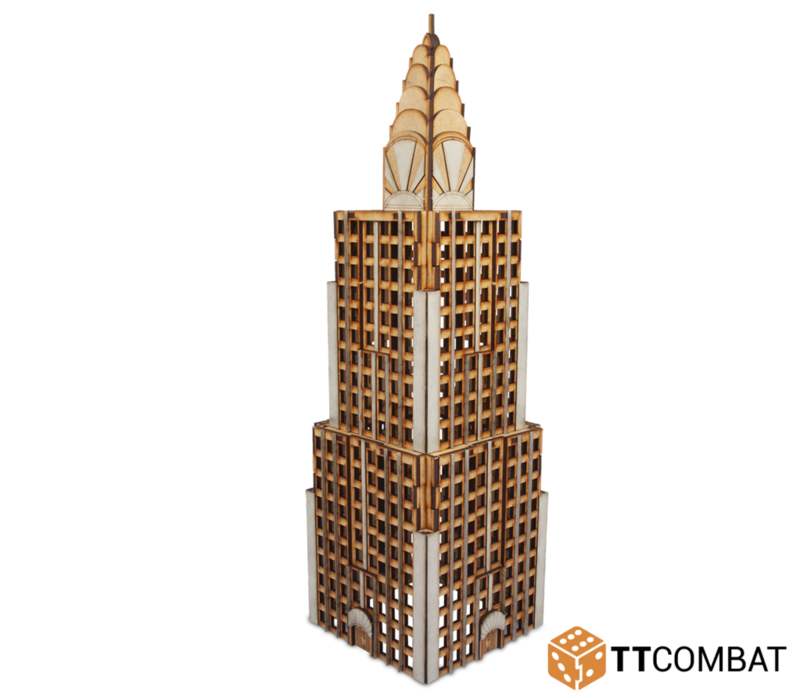 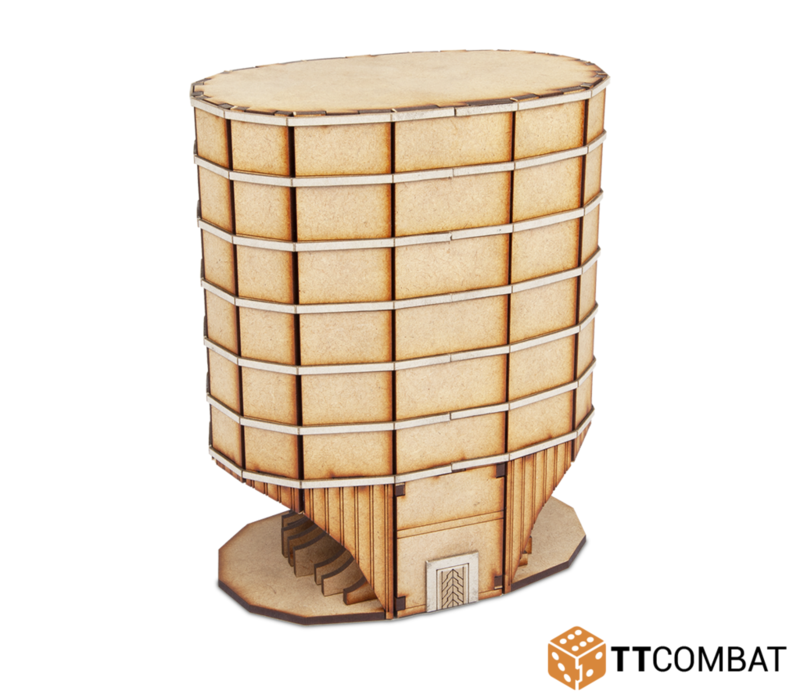 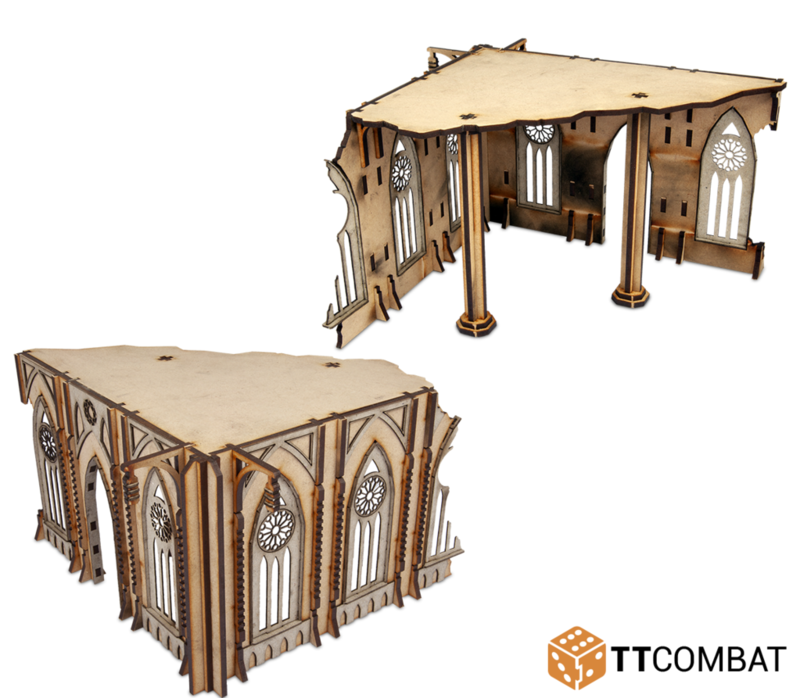 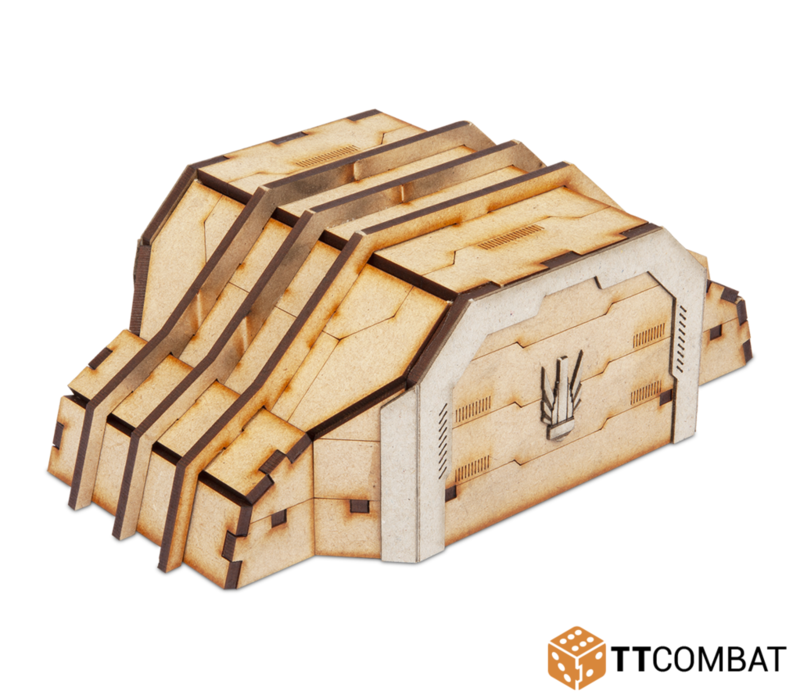 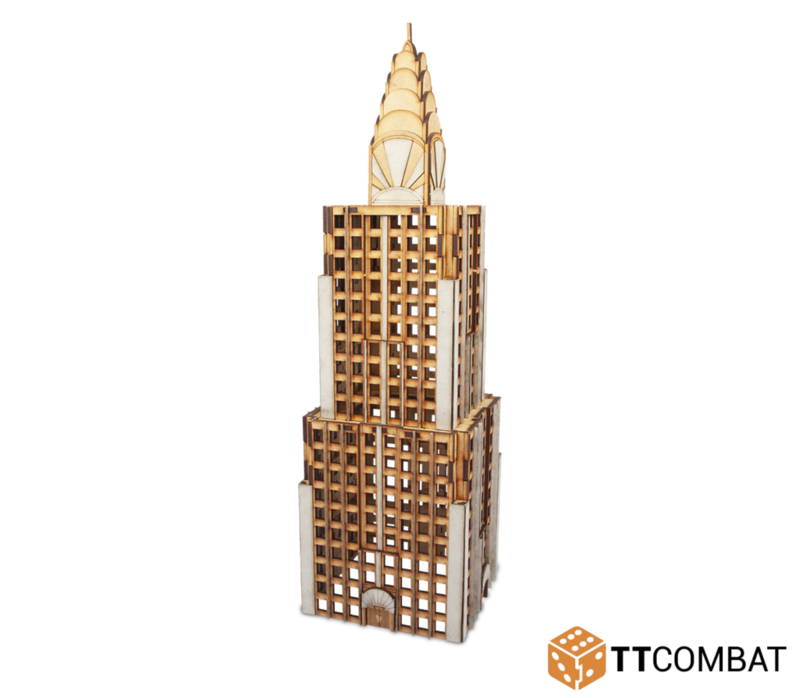 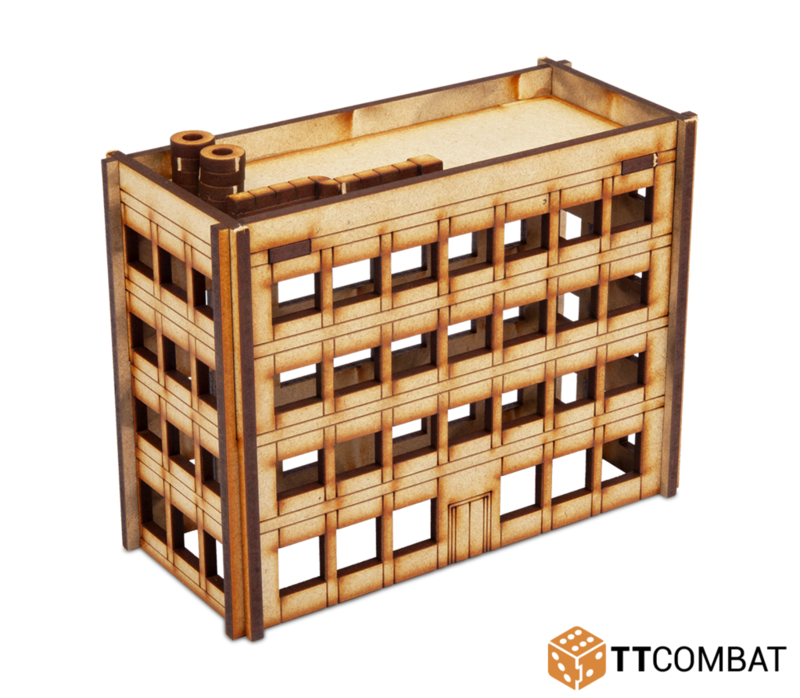 TTCombat haben neue Gebäude aus MDF in 28mm und 10mm. 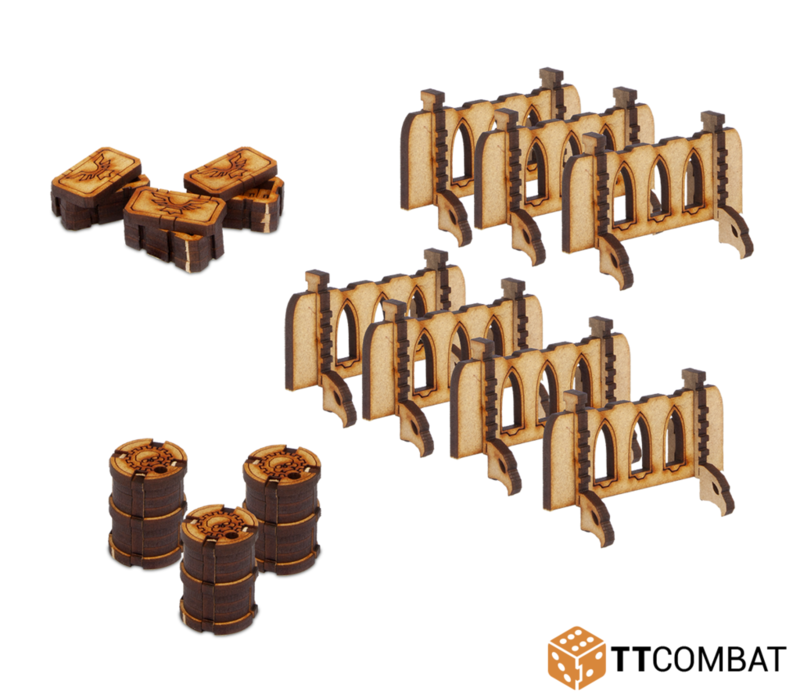 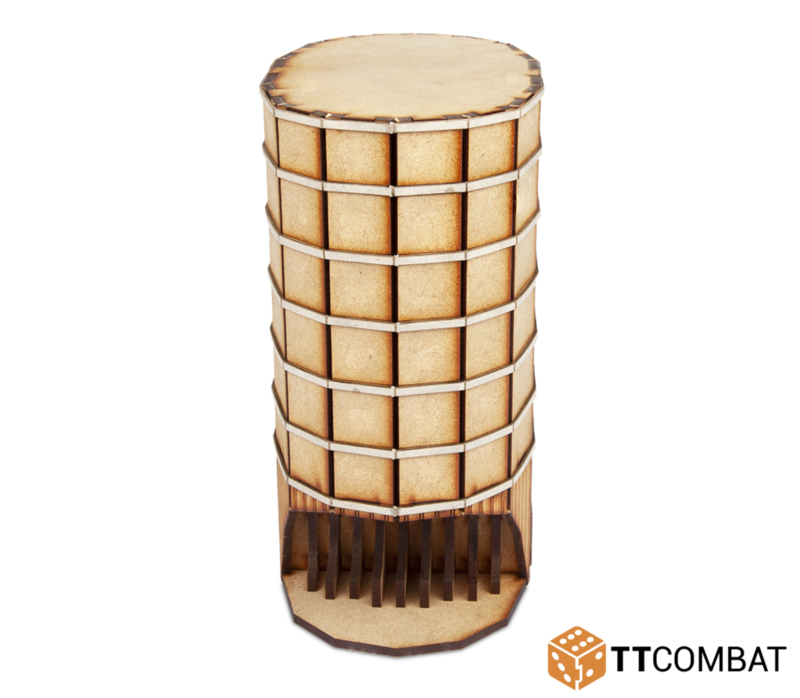 This kit comes with four Brownstone Rows, each of which has a unique design. 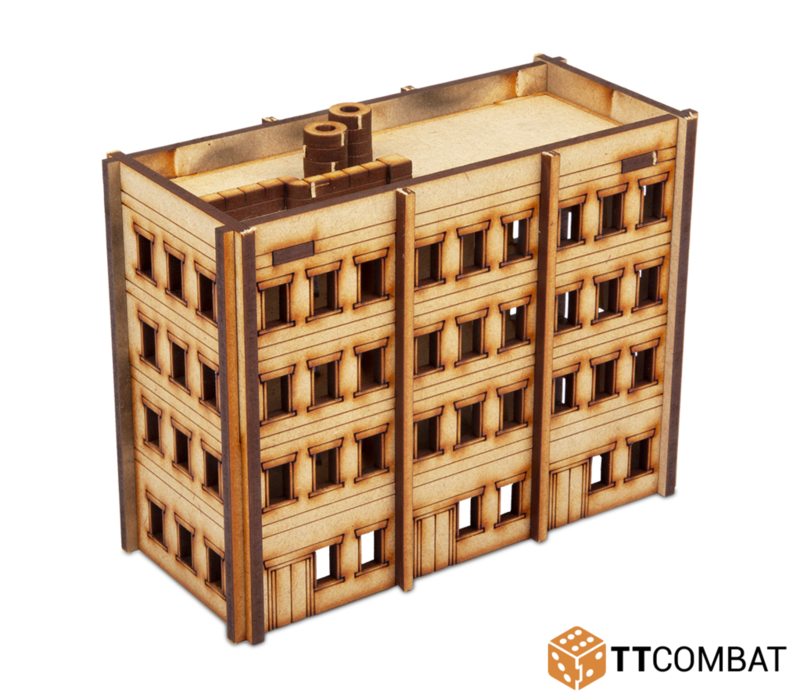 Standing at 6cm high and 13cm long, they’re perfect small Buildings. 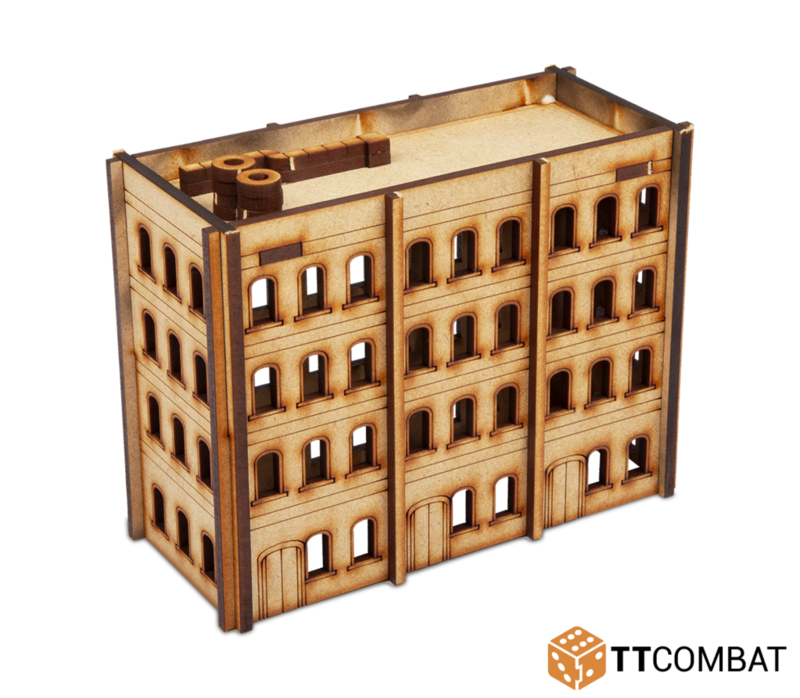 The kit contains three large ruined corners, and four smaller ruined walls, most of which can stack on one another for even taller buildings. 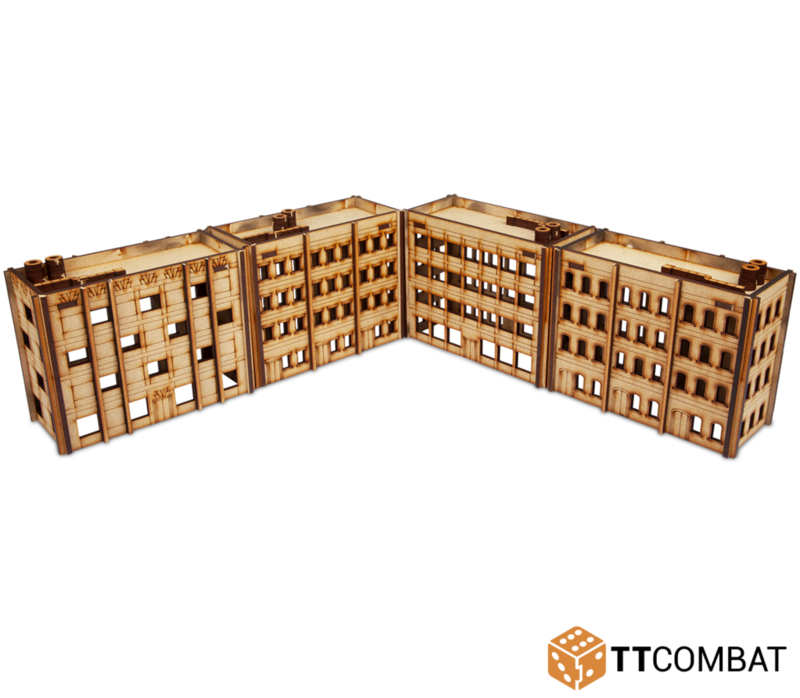 There are also seven barricades that can be attached to any of the buildings to provide some cover, and a handful of scatter terrain to further detailing the board. 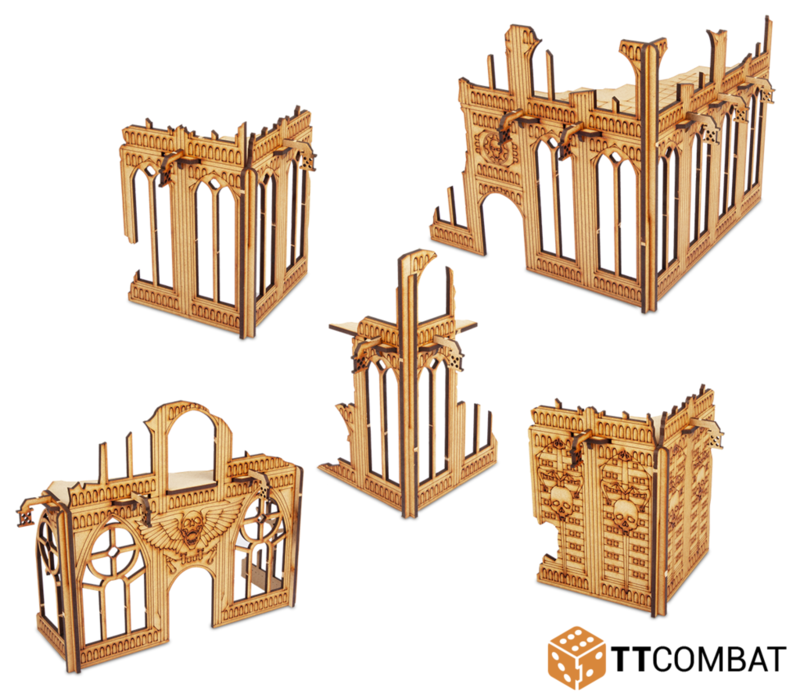 The smaller ruins sit at approximately 6cm tall and larger ruins are 12cm, making them perfect for 28-32mm scale gaming. 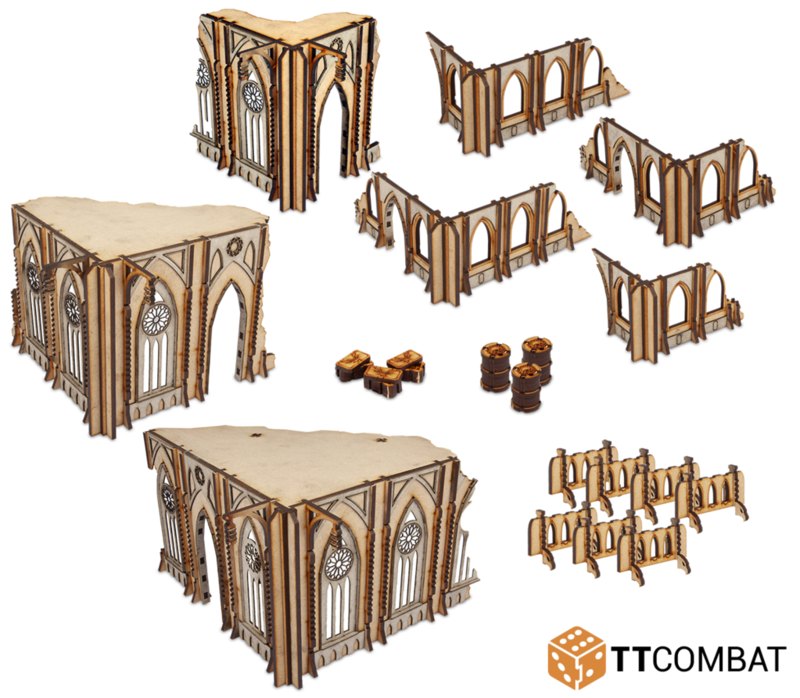 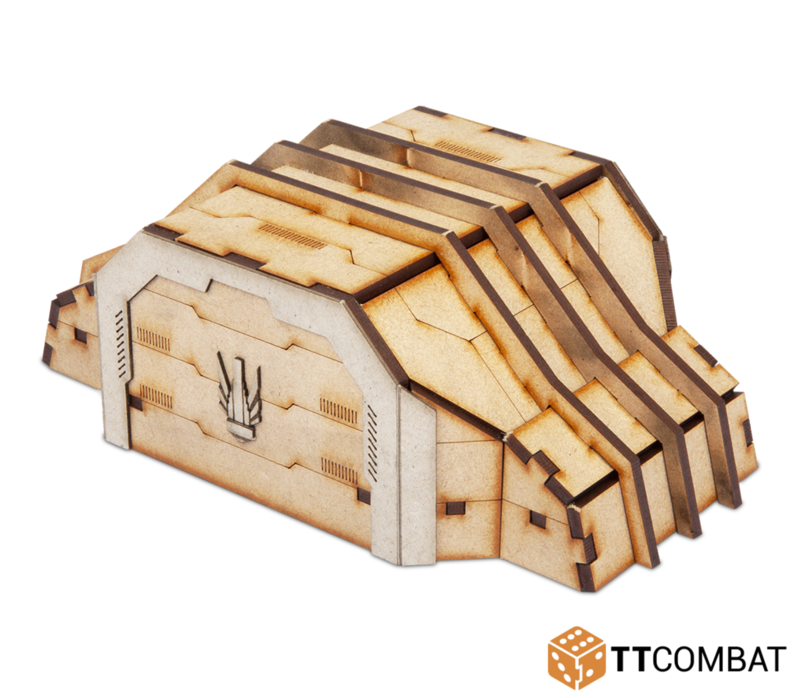 Made from 3mm MDF and 1mm greyboard, the kits are easy to put together and look great on the tabletop. 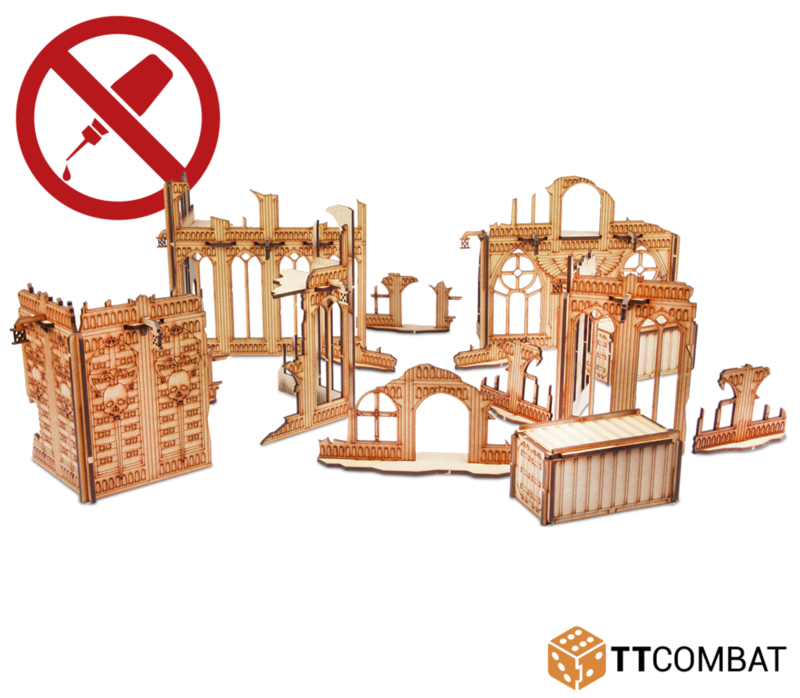 Our woodgineers in the TTCombat offices have come up with something truly extraordinary in the City Qudratum Ruins. 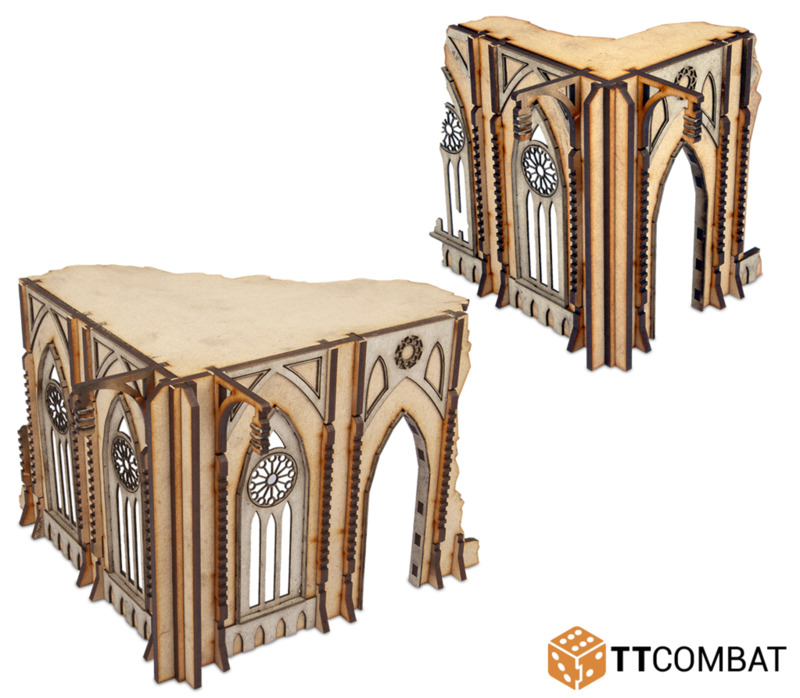 For the first time you can completely deck out a gaming table with incredible looking TTCombat scenery that you don’t even have to glue together! 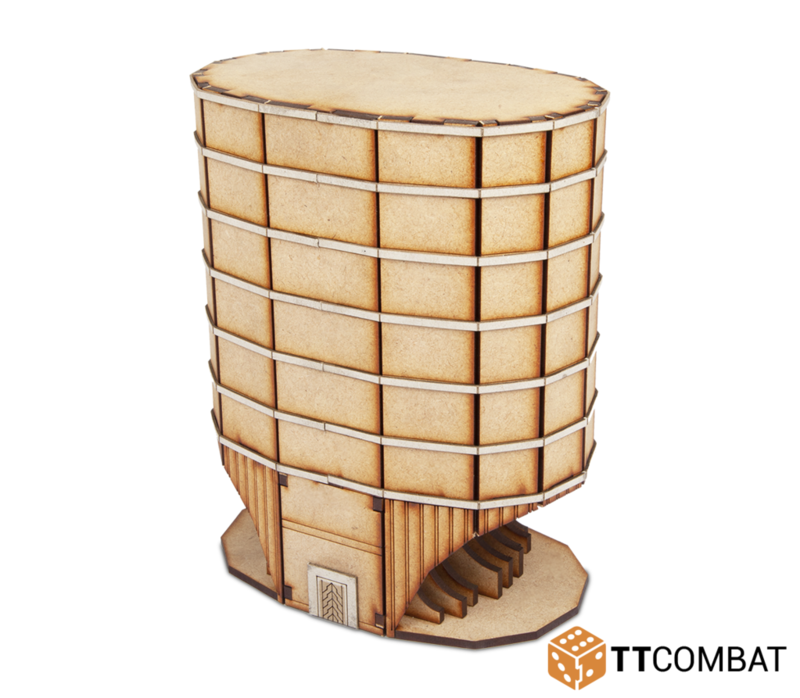 That’s right, this massive kit can be slotted together and unpacked again for storage! 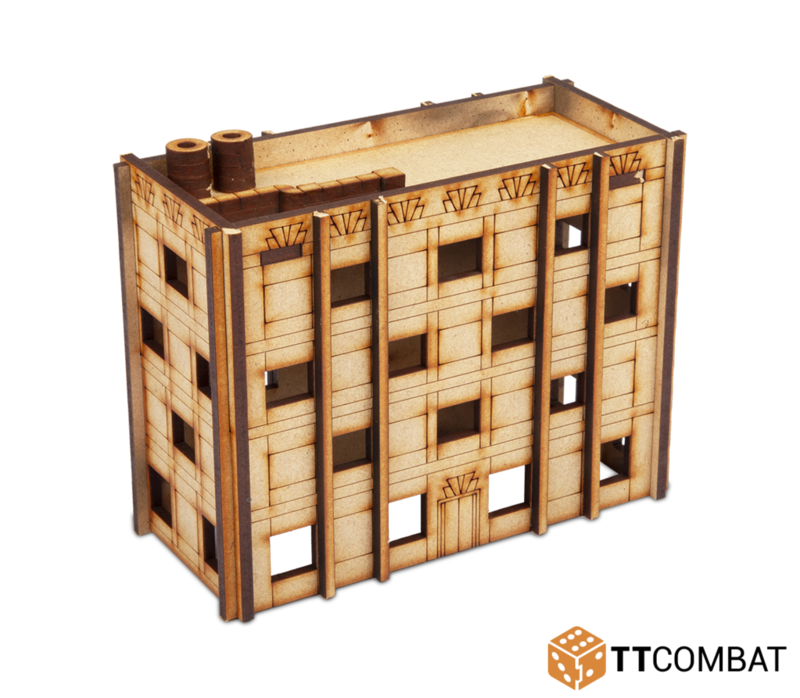 The kit contains five large ruined corner sections, six smaller ruined walls, and two storage containers. 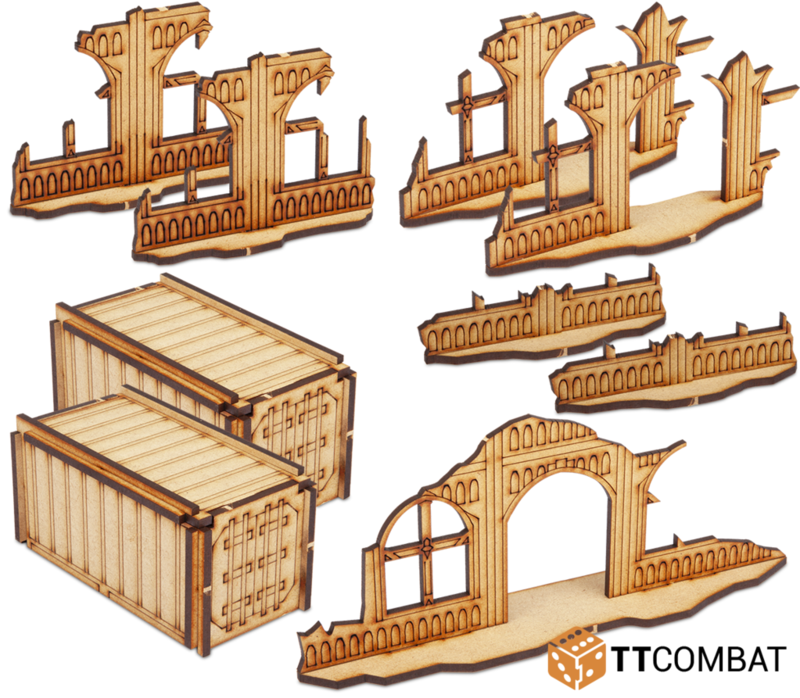 Every single scenery piece locks together and can be unlocked and packed up again at a moment’s notice! 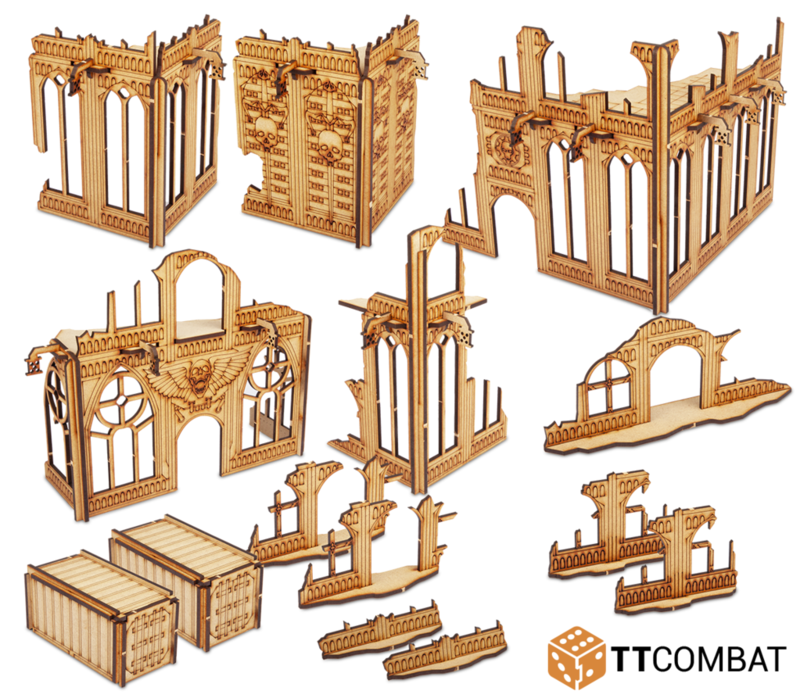 The large ruins sit at approximately 12cm tall, making them perfect for 28-32mm scale gaming. 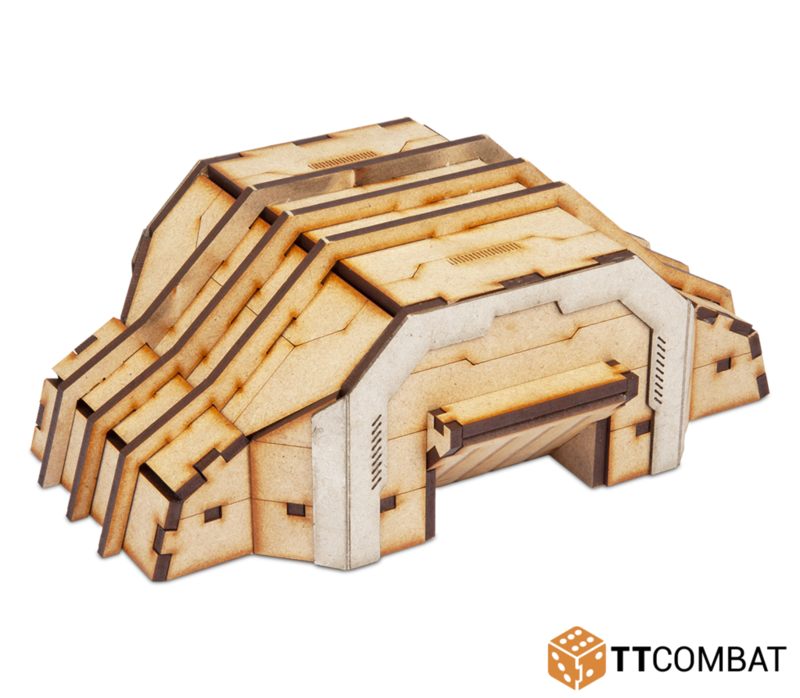 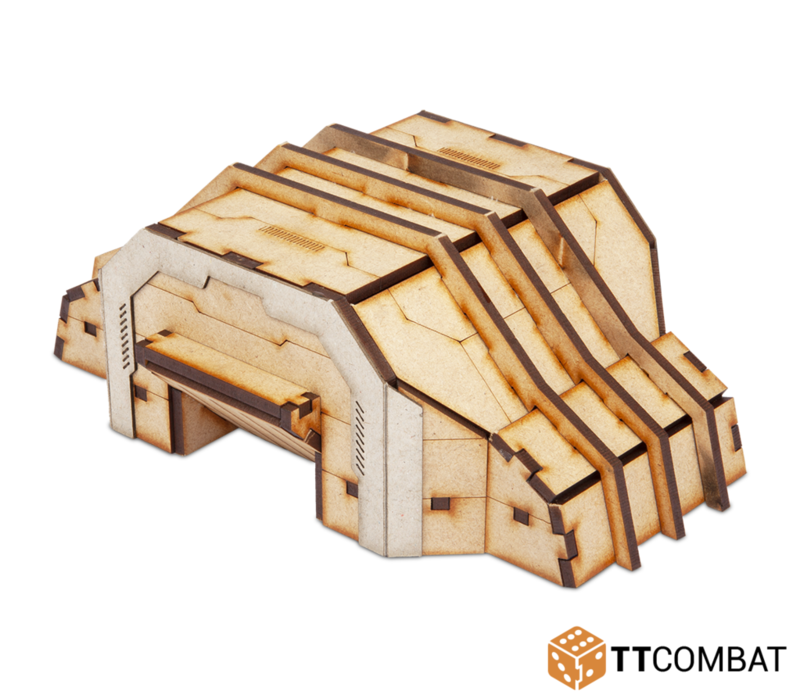 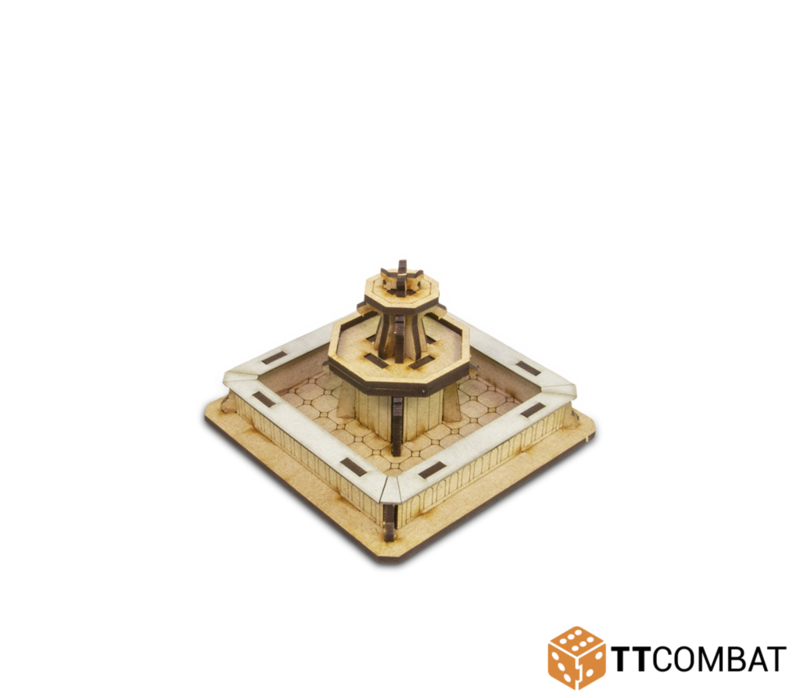 Made from 3mm MDF, this is by far the easiest set to put together that we’ve ever made, and means you can go from flat terrain to a whole battlefield in a matter of minutes. 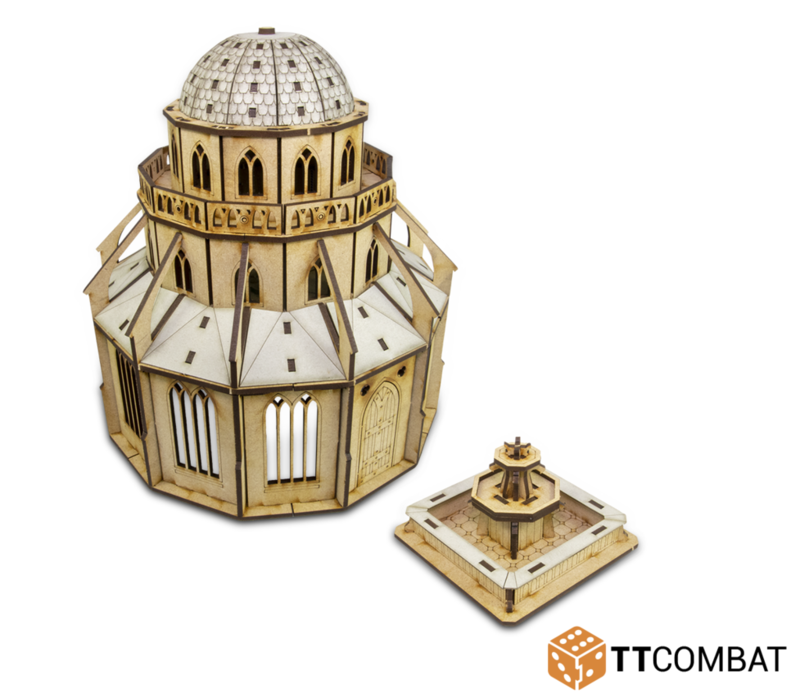 Das Scriptorium sieht ja richtig gut aus. 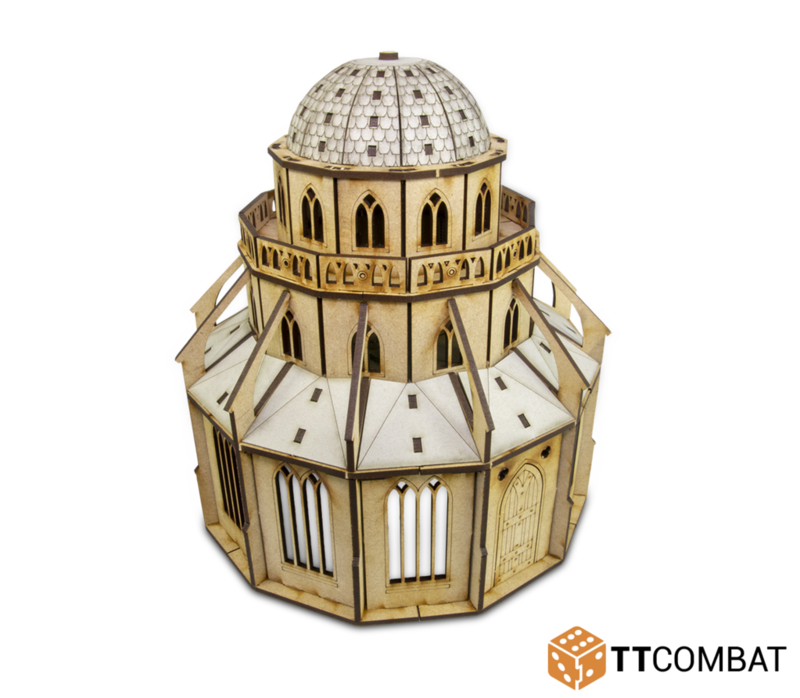 Könnte für mich etwas größer sein, aber so von der Art ist das nichts, was man mal kurz selber bastelt.